River Bank is a community bank headquartered in North Andover, Massachusetts. Several years ago, they decided to embark on a major expansion into surrounding communities and wanted to make an impact with their new branches. Using a consistent and unified architectural “look and feel”, they created a bold new image with a focus on superior customer comfort and service. 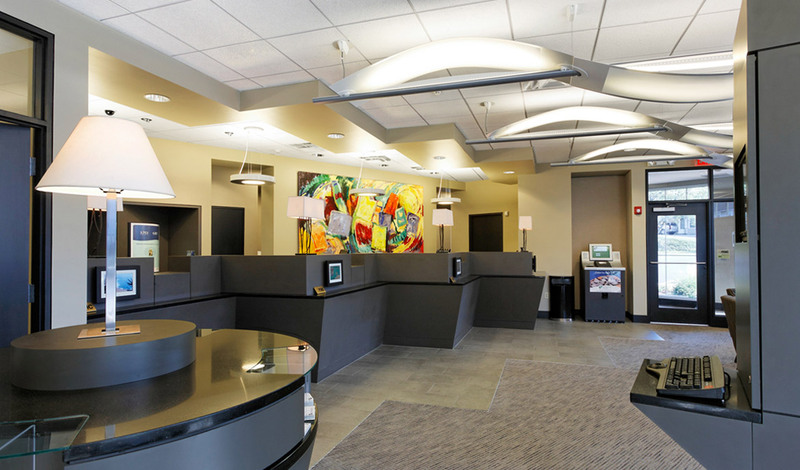 The interiors of the banks all are designed with a contemporary feel, utilizing bold splashes of color in the artwork, granite teller counters and crisp interior detailing. 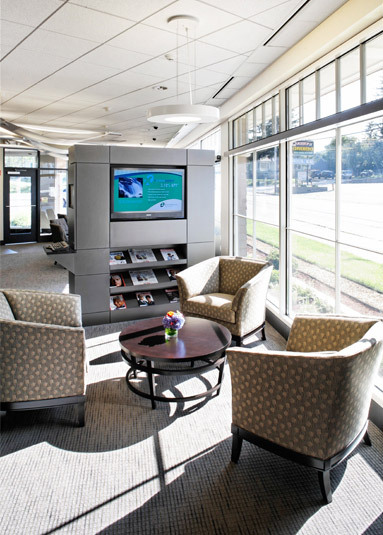 Each branch bank is equipped with a coffee bar, and a television, comfortable chairs and magazines in a lounge area; amenities that add to River Bank’s commitment to customer service. 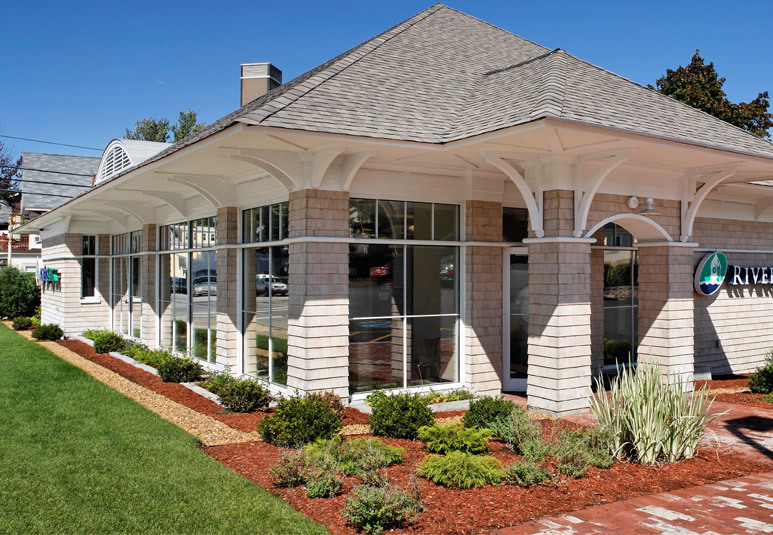 The exterior of the banks are more traditional in design as befitting their New England locations; with cedar shingle siding and painted trim that has a slight contemporary flair. The exterior brackets, large overhangs and knife edge roof eaves all contribute to the banks’ unique character. Locations: Methuen, MA. (2) Derry, NH., Lawrence, MA.